Prototype: German Federal Railroad DB class E 93 heavy electric freight train locomotive. Bottle green basic paint scheme. Road number E 93 07. The locomotive looks as it did around 1960. Model: The locomotive has a DCC/mfx digital decoder and extensive sound functions. It also controlled high-efficiency propulsion with a flywheel, centrally mounted. 2 axles of each truck powered by means of cardan shafts. Traction tires. The locomotive has triple headlights and dual red marker lights that change over with the direction of travel, will work in conventional operation, and can be controlled digitally. The headlights at Locomotive Ends 2 and 1 can be turned off separately in digital operation. When the headlights are turned off at both ends of the locomotive, the function for the "double A" light is activated. The cab lighting can also be controlled digitally. Maintenance-free warm white and red LEDs are used for the lighting. The locomotive has separately applied grab irons. The cabs and the engine room have interior details in relief. Brake hoses and coupler hooks are included that can be mounted on the locomotive. Length over the buffers 20.3 cm / 8". Highlights: Completely new tooling. Especially finely detailed metal construction. DCC/mfx decoder and extensive operating and sound functions included. Cab lighting can be controlled digitally. Warm white and red LEDs for the lighting. The 22870 heavy electric freight train locomotive is being produced in 2014 in a one-time series only for Trix Club members. Freight car sets to go with this locomotive can be found under item numbers 24243 and 24244 also offered only for Trix Club members. 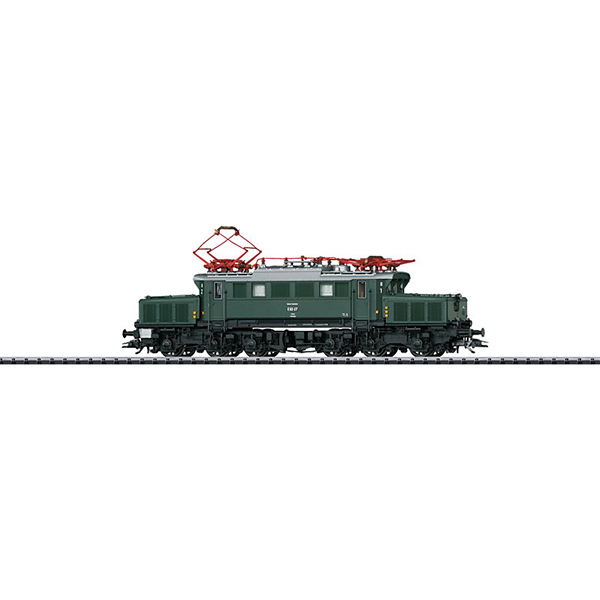 This model can be found in an AC version in the Märklin H0 assortment under item number 37870 exclusively for Insider members.